That really isn’t advice for you, though feel free to take it if so inclined. It’s a reminder for me to do a better job of thinking through which shows to pop for, and why. As this summer began, I had tickets for a Joan Jett/Lynyrd Skynyrd double bill at a big outdoor festival in July and a KISS show at the arena across town in August. Sounded great at first. Turned out differently. I’d seen Joan Jett twice before. Each time, she was the headliner in a small venue. This time, she was the opening act at that outdoor festival. Different vibe. That’s her, somewhere on that tiny stage just to the left of center in the photo above. Those were my sight lines. You get the idea. Not surprisingly, a crowd getting primed to see Skynyrd is not necessarily one that will warm to Joan Jett’s occasionally LGBTQ-friendly stylings. They roared for the first three songs and the last four songs — all the hits — then listened politely (as Wisconsin crowds are wont to do) to the 10 songs in the middle that they really didn’t know or dig. Given that, and the realization that this Skynyrd show would not be better than two I’d already seen — Leon Wilkeson and Billy Powell were still alive and performing then — I left after Jett’s show and before Skynyrd took the stage. A month later, when it turned out that we were leaving for a trip at 4 a.m. on the morning after the KISS show, I started rethinking that one, too. As with Skynyrd, I came to the realization that this KISS show would not be better than the one I saw 16 years ago, when all four original members were part of the, ahem, KISS Farewell Tour. So I sold my ticket to a friend, who gave it to another friend, which is the best part of this story. The guy who wound up with the ticket is a huge KISS fan who had never seen KISS. By all accounts, he had a great time at the show. Which is cool. Which makes me feel better about it all. Maybe it’s just karma. After all, this vaguely lost summer followed a tremendous spring in which we saw Bruce Springsteen, the Smithereens, Martha Davis and the Motels, Pat Benatar, David Lindley, the Alan Parsons Live Project and the James Hunter Six. Save for Benatar and Lindley, we’d never seen any of them. When I did see Lindley for that second time, he played the one song I wanted to hear. A song he didn’t play the first time we saw him. 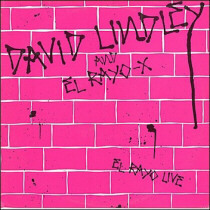 “Mercury Blues,” David Lindley and El Rayo-X, from “El Rayo Live,” 1983. Recorded live at Little Bavaria in Del Mar, California, on Friday, June 18, 1982. After seeing Lindley in 2013, we eagerly got tickets to see him when he came around again last year. But we wound up moving my dad into assisted living that weekend, and we wound up eating those tickets. Perhaps getting to hear “Mercury Blues” this time was karma, too? Who knows? The AM station, WRIG, was top-40 pop. However, it inexplicably also chose to air “The National Lampoon Radio Hour,” an irreverent, sophisticated, cutting-edge comedy show that set the tone for “Saturday Night Live” — which hadn’t yet debuted. It also shared many of the same cast members. But we’ll come back to that another time. Let me know what you think of The Midnight Tracker.